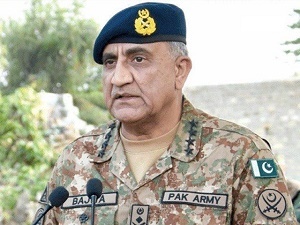 Chief of Army Staff (COAS) General Qamar Javed Bajwa has said that he takes pride in leading an Army which is always fully prepared to perform the most sacred duty of defending the motherland. He said this while addressing troops deployed at the Working Boundary near Sialkot on Sunday. The army chief appreciated state of high morale and readiness of the troops, said a statement issued by the Inter-Services Public Relations (ISPR) DG Major General Asif Ghafoor on Twitter. “There isn’t anything more sacred than defending the motherland. I take pride in leading an Army which is ever ready to perform this duty,” Gen Qamar was quoted by the top military spokesperson as saying. The statement comes amid heightened tensions between Pakistan and India in the aftermath of a suicide attack that killed over 40 Indian paramilitary personnel in occupied Kashmir last week. On Saturday, the Foreign Office had announced setting up a “Crisis Management Cell” in the wake of deteriorating situation between the two countries, a day after India moved thousands of paramilitary troops to further bolster its security presence in the occupied valley. 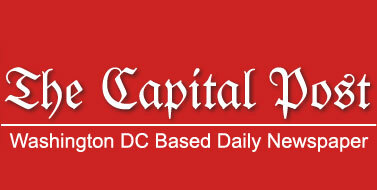 New Delhi authorised and airlifted at least 100 paramilitary companies to the occupied zone following the detention of Jammu Kashmir Liberation Front (JKLF) Chief Yasin Malik and the arrests of Jamaat-e-Islami (JI) workers in the latest crackdown against the resistance leadership on Friday.